There has been a hive of activity at the Museum and Art Gallery of the NT (MAGNT), in preparation for the 29th Telstra National Aboriginal & Torres Strait Islander Art Award, with installation of the 63 pre-selected art works now complete. Telstra Art Award Coordinator and MAGNT Indigenous Art Curator, John Waight said the final preparations were underway in anticipation of the judges’ arrival tomorrow. “Since the 63 pre-selected works began arriving two months ago, MAGNT staff have been busy preparing the artworks, stretching paintings on canvas, framing works on paper and preparing supports for three dimensional works,” Mr Waight said. The Telstra Art Award is the premier national event in the Indigenous art community; it provides an opportunity for Indigenous artists to gain recognition for their work and provides the general public with access to an amazing exhibition of Indigenous contemporary art. This year’s jury will consist of Award winning artist Bindi Cole, Glen Iseger-Pilkington, Curator of Indigenous Art at the Art Gallery of Western Australia, and Roger Benjamin, Professor of Art History at the University of Sydney. The judges will arrive in Darwin tomorrow, with judging set to take place in coming days. This year’s Telstra National Aboriginal & Torres Strait Islander Art Award includes the major $40,000 Telstra Award and $4,000 individual category prizes including the Telstra General Painting Award; Telstra Bark Painting Award; Telstra Work on Paper Award and Wandjuk Marika Memorial 3D Award (also sponsored by Telstra). 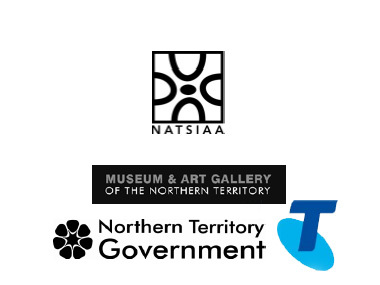 The 29th Telstra National Aboriginal & Torres Strait Islander Art Award exhibition official opening and award presentations will be made on Friday 10 August 2012 at MAGNT.